Miller’s Home Improvement believes in the capabilities of ethylene propylene diene monomer (EPDM) roofs. More commonly known as rubber roofs, they have a distinct artificial membrane quality thick enough to effectively protect your property against extreme weather. We install EPDM flat roofing Saint Clair Shores, MI. As an excellent property investment, rubber roofs require proper installation to stay durable and last longer. 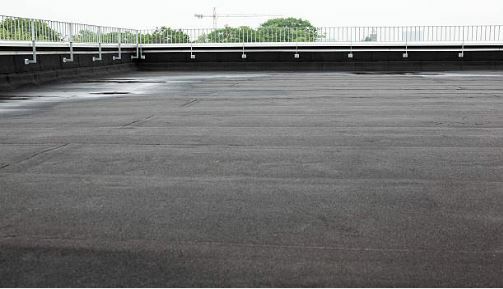 What is an EPDM Roof Made of? Slate, sawdust and recycled rubber materials from tires and other sources make EPDM roofs affordable. They are environmentally friendly because they are easy to recycle too. Why Install an EPDM Roof on Your St Clair Shores Mi Facility? Properly-installed EPDM roofs can reach up to 50 years. Our quality EPDM flat roofing Saint Clair Shores, MI service ensures that the material won’t require additional coating and re-coating anytime soon. Effectively installed, this material prevents roof ponding, which eliminates the possible growth of dangerous mold, mildew, and fungi on your roof in St Clair Shores. Get the Best Rubber Roof Installation Today with Miller’s Home Improvement Today! Miller’s Home Improvement is the primary choice of property owners in Saint Clair Shores MI. With over 30 years of experience installing and handling roofing projects from minor repairs to installation of rubber EPDM roofs, we are confident that we will provide the quality roofing service you demand for your home. Invest in our EPDM flat roofing Saint Clair Shores, MI service and enjoy a durable roof plus long-term savings. By contacting Miller’s today, you’ll not only lengthen the lifespan of your roof, but also get FREE consultation for your new roofing project. Call us today to know more: 248-242-0820.